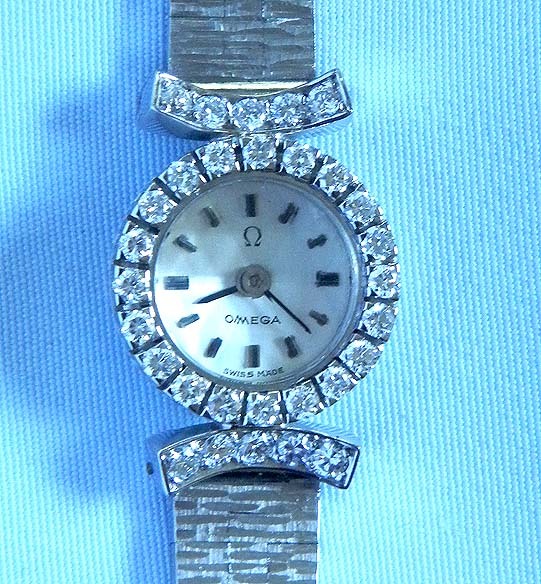 Fine Omega 18K white gold and diamond ladies bracelet vintage backwind wrist watch circa 1966. Original dial. Copper colored 17 jewel movement. Textured 18K bracelet. Overall length 6.75 inches.